After big breakfast at the Forest View Guest House, Jon, the owner kindly dropped us off at the river and saved us a very long walk! The fishing on the day didn’t disappoint. I fished using a size 14 hook with 4 maggots, and pretty much a fish each cast. Once we had fed through the smaller dace and roach the bigger chub started to show. 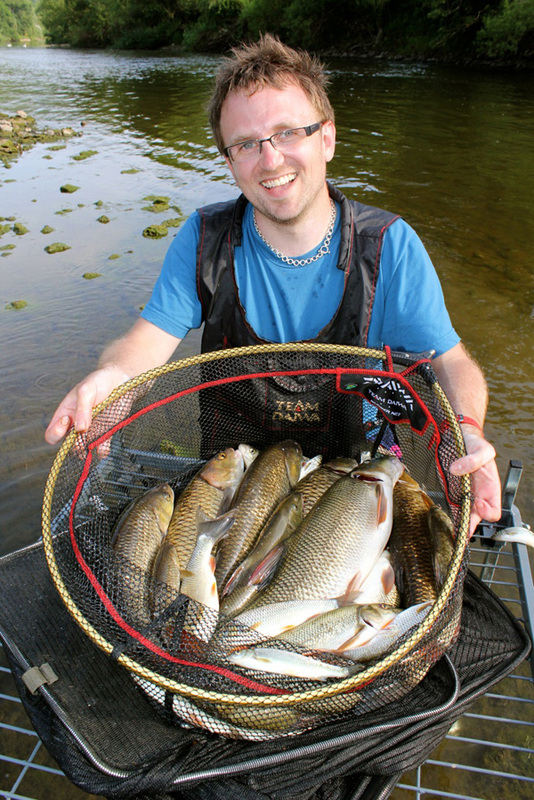 I caught 7 small barbel which were all under a pound – this is a sign of a healthy river, these should provide great sport over the next few years. Thinking back over the day, I picked up lots of tips and advice which will improve my fishing. Constantly changing the approach, e.g. shotting patterns, feeding, depth, and running the float down different areas of the swim all helped put more fish in the net. 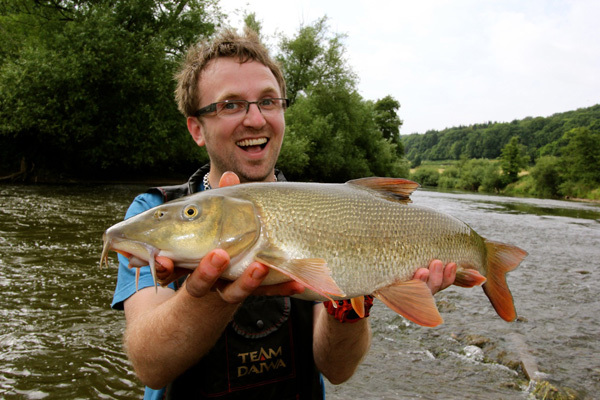 The biggest barbel of the day must have been caught about 40m downstream on the far waggler line – I don’t think this is an area I would naturally fish, but I will from now on! 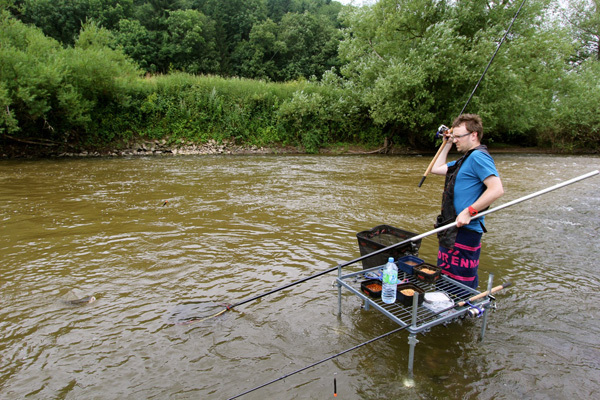 When faced with a river where the conditions often change through the session, your approach has to change accordingly. It was such a fantastic opportunity to spend a day with someone who was so passionate about river fishing. I tend to ask people quite a lot of questions, so it was great to have Dave on hand all day and dig into his a wealth of experience.